Warwickshire Police has paid over £21,000 to the family of a Leamington woman who was found dead after the force took 14 hours to respond to her 999 call. 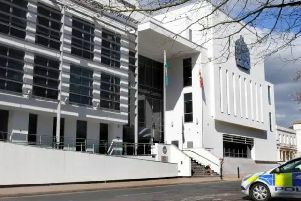 Luisa Mendes, 44, was found dead at an address in Leamington on 25 October 2012, the morning after police received a call from her implying she was being beaten by two men. In a letter of apology to Luisa’s family, Warwickshire Police admitted that errors were made in prioritising the incident. They settled the claim with her family for £21,687 and have apologised. No one was charged in relation to Luisa’s death, but a jury at the inquest into her death concluded Luisa had been assaulted and had died as a result. Luisa’s brother Vitor Mendes said: “My sister had led a happy life before problems in her relationship and business meant that she turned to alcohol. She was vulnerable and deserved protection from the police, regardless of her difficulties. Nancy Collins, of law firm Hodge Jones & Allen, said: “Luisa was a vulnerable woman who was known to the police and had been a victim of domestic violence. “The police had a duty to protect her and when she dialed 999 saying she was being beaten, help should have been sent immediately. “Instead, the collective failures of police officers and employees meant that she was treated as a nuisance rather than a victim and help did not arrive until it was far too late.